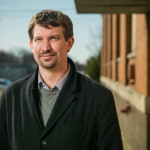 Jeremy DeRoo is the Executive Director at LINC Up in Grand rapids. Jeremy represents CEDAM’s Region 3 members. LINC UP is a non-profit organization that works incredibly hard to help revitalize communities by connecting opportunities. We want to help our community grow and build a city of opportunities and resources to everyone. We do this by developing real estate, organizing residents and connecting organizations. I am the Executive Director of LINC UP. We are a community development organization that expands opportunities for residents around where you live, what you know, what you make and who you know. I have been with LINC UP since 2002 and one of the most exciting things I have been part of is helping LINC transform from an affordable housing organization to an organization actively addressing racial equity through community development via affordable housing and community organization. I am also happily married and a proud father of four children.